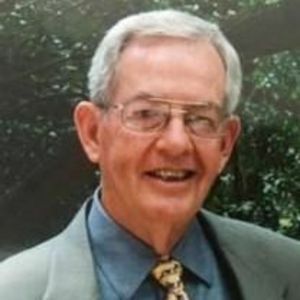 Robert V. Jones, Jr. went home to be with his Lord on January 6, 2018. Bob was born on Oct. 17, 1935 in Savannah, GA. to the late Robert V. Jones and Lilly B. Jones. He was a graduate of Mercer University and served two years in the Army. Bob worked as a pharmaceutical sales representative for Wyeth before moving on to the field of financial consulting. Bob was preceded in death by his sister, Evelyn Mercer. He is survived by his wife, Minnie Barnes Jones and his children; Debra (David) Ruff, Robert M. Jones and Stephen (Jennifer) C. Jones; grandchildren Lauren and Taylor Ruff and Christopher Jones. Bob served his church faithfully and loved his family. They both loved him right back. He will be missed by all those who had the pleasure of knowing him.